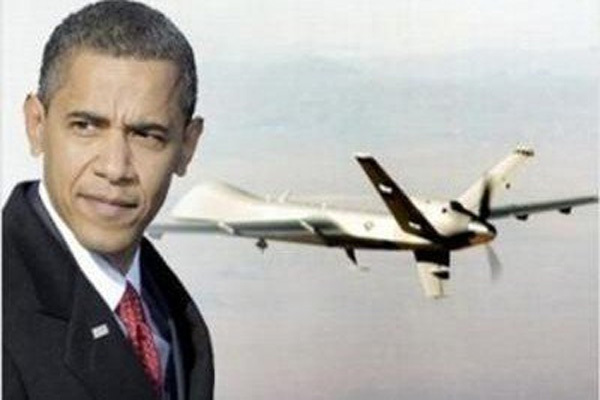 Obama has killed more people with drones than died on 9/11. Many of those killed were civilians, and only a tiny percentage of the dead were al-Qaeda or Taliban leaders. The Council on Foreign Relations estimates that U.S. drone strikes outside of Iraq and Afghanistan have killed 3,674 people. The Bureau of Investigative Journalism reports that up to 4,404 people have been killed – just in Pakistan and Yemen alone – between 2004 and 2014. While it’s hard to estimate how many additional people have been killed by drone in Iraq and Afghanistan, a December 2012 report by the Bureau of Investigative Journalism found that US and UK forces had carried out over 1,000 drone strikes in Afghanistan over the previous five years. Given that numerous people are often killed by each drone strike, it is reasonable to assume that several thousand people have been killed by drone in that country. And many Iraqis have also been killed by drones … long before ISIS even appeared on the scene. So – altogether – the number of people killed by drone is probably well above five thousand. In contrast, under 3,000 people were killed on 9/11. But aren’t drone strikes targeted attacks on terrorists … unlike 9/11, which was an attack on civilians? The West is intentionally targeting farmers, small-time drug dealers and very low-level Taliban members with drone assassination. Mr. Obama had approved not only “personality” strikes aimed at named, high-value terrorists, but “signature” strikes that targeted training camps and suspicious compounds in areas controlled by militants. And then there are “double taps” … where the family members, friends or neighbors who try to rescue someone hit by a drone missile are themselves targeted for assassination. In Iraq, over 70 percent of those who died of direct war violence have been civilians. No wonder people all over the world are overwhelmingly opposed to drone strikes. Indeed, even the CIA admits that the drone program might be counter-productive in fighting terrorism. And the architect of America’s drone assassination program says it’s gone too far … creating terrorists rather than eliminating them. Obama has increased the number of drone attacks in Afghanistan, Pakistan, Yemen and elsewhere. Indeed, most people who have looked at the numbers believe that Obama has killed many more civilians with drone attacks than Bush did using the same method. The former constitutional law teacher may or may not know that drone attacks are a war crime (more here and here).